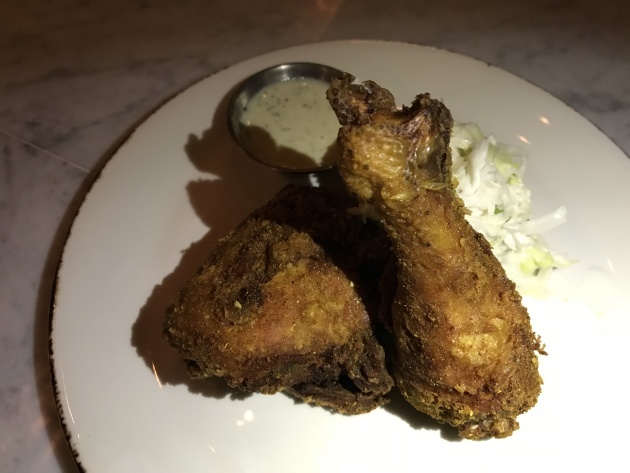 After a week of soft openings, Hodges Bend – a new restaurant, bar and coffee shop in St. Paul’s South St. Anthony Park – is celebrating its grand debut this weekend. The outpost at 2700 University Av. 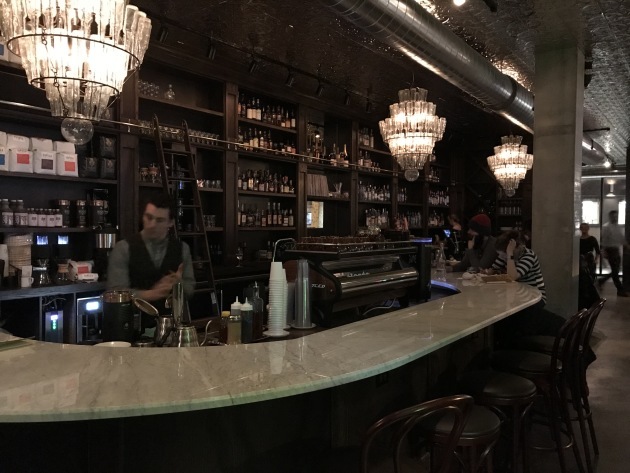 W., an off-shoot of the original that opened in Tulsa in 2013, will be serving third-wave coffee and breakfast all day while transitioning into more of a cocktail bar feel in the evenings, complete with dainty coupes and jazz. 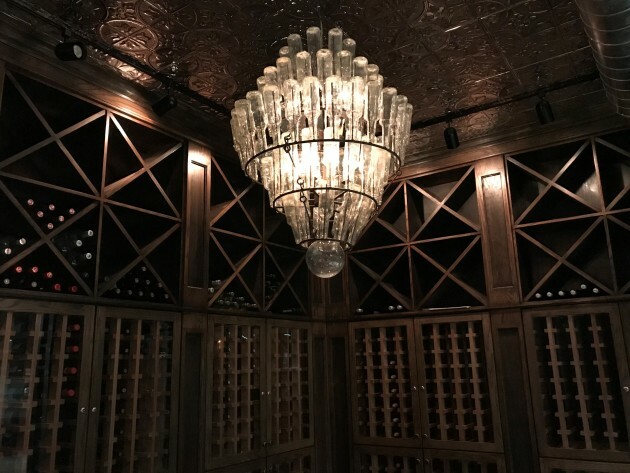 Unlike the original, housed in a building constructed in the early 20th century, the Minnesota version was erected in a new building – but upon entering, a would-be patron might be tricked. An antique-style wooden backbar, boasting a ladder for pulling bottles off high shelves, extends along the length of the back wall. Chandeliers, made from clear, empty bottles, hang from a tin ceiling. 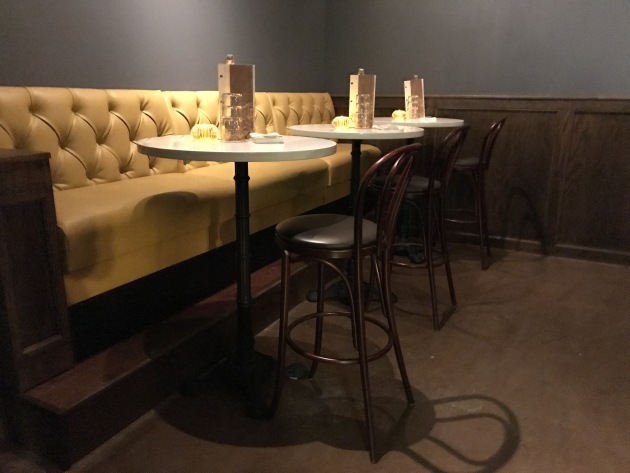 A marble counter top with wooden bistro-style stools and an assemblage of mustard-hued banquettes, tucked into a series of semi-private coves, offer various nooks for socializing. The small back room surrounded by wooden wine racks, seats about 10 and will be used to host a variety of chef dinners. As for the eats and drinks? 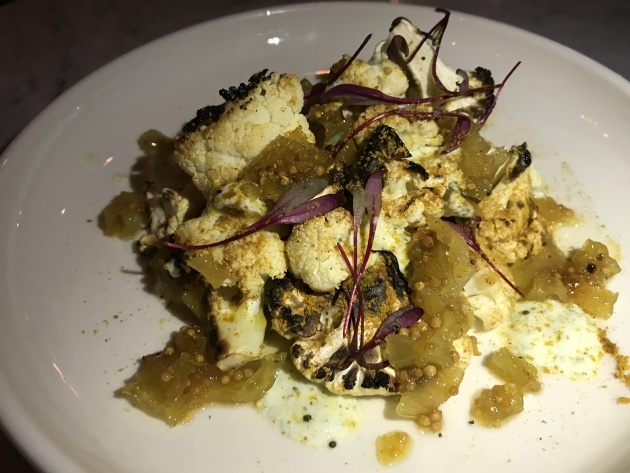 A modest food menu accommodates a series of small plates such as oysters on the half shell, mussels with fries and charred curry cauliflower (pictured above), along with a handful of more substantial items (burgers and fried chicken, pictured below, among them) and sweets. Breakfast and brunch dishes include tacos carnitas with an egg and biscuits with gravy. 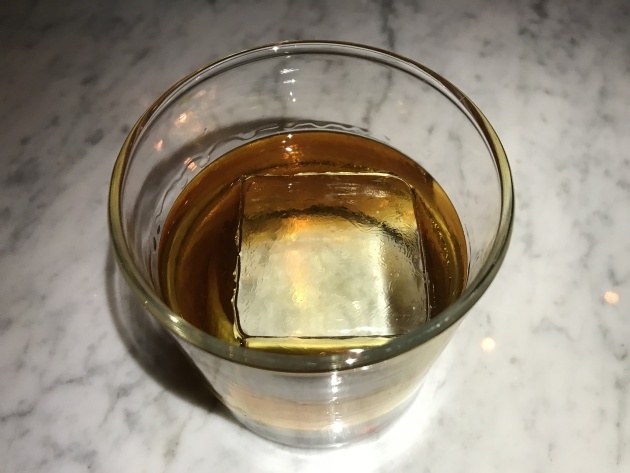 The cocktails, meanwhile, are made in the spirit of Prohibition-era classics, but often with minor twists, such as the Southgate (pictured below), essentially a rye old fashioned made with lemon peel and a cardamom syrup. 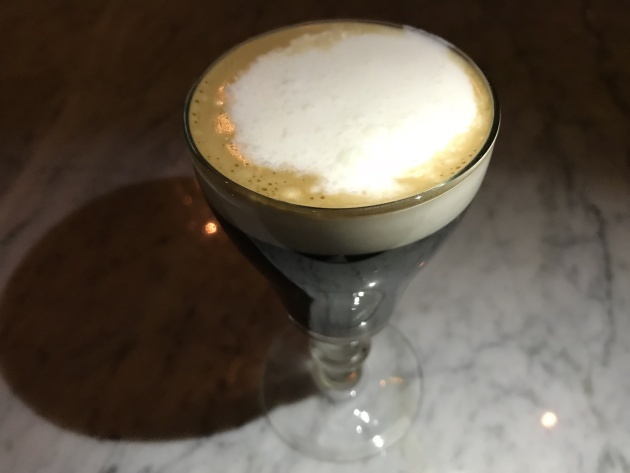 The bar also presents a lineup of coffee cocktails, highlighting the house seed-to-cup Topeca beans – one of the signatures is an Irish coffee, made modestly sweet with Demerara sugar and topped with cold whipped cream. Hodges Bend will be open from 7 a.m. to midnight on Monday through Saturday and from 9 a.m. to midnight on Sundays.